How to connect your Plantronics CS55H wireless headset to an Avaya Partner telephone. - Headsets Direct, Inc. 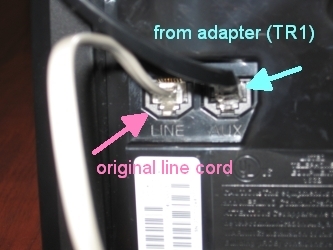 Step 1: The CS55H is the same as the CS55 except it comes with an adapter module (TR1). 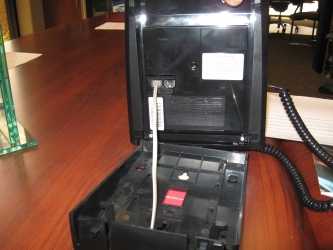 Step 2: New (Euro) style Partner phones will have an auxiliary (AUX) jack on the bottom of the phone. You will need to remove the bottom stand. 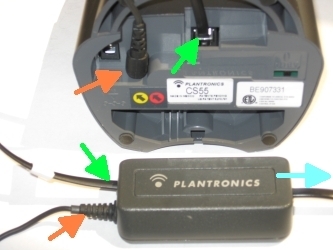 Step 3: Connect the two cords from left side of the adapter (Green & Orange arrows) to the bottom of the CS55H base as pictures. Step 4: Connect the single cord (Blue arrow) from the right side of the adapter to the AUX port on the bottom of your phone. 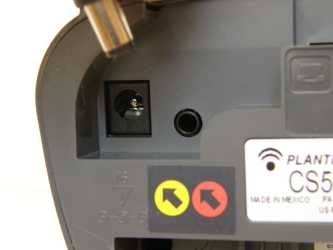 Step 5: Plug the A/C power into the CS55H base and your installation is complete.